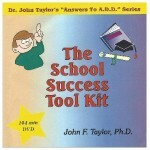 Dr. John F. Taylor, Ph.D. 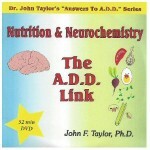 Regarded as an innovator in the field of ADHD, John F. Taylor, Ph.D. has been a family psychologist for over 40 years and is a father of 8 children, 3 of whom have ADHD. 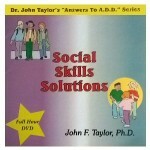 His practice included a focus on children and adolescents with ADD/ADHD. 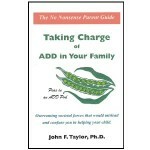 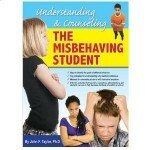 He authored one of the first books devoted to ADD/ADHD family relationship issues (THE HYPERACTIVE CHILD AND THE FAMILY). 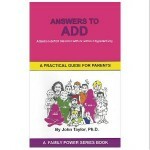 A prolific developer of techniques and resources for ADD/ADHD as well as a captivating speaker, he has often been featured at conferences and on nationally broadcast talk shows. 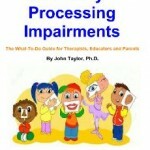 He has authored numerous books and parent educational materials as well as many articles in professional journals, including the “Sharpening Your Counseling Skills” column in the journal PRACTICAL IDEAS FOR COUNSELORS. 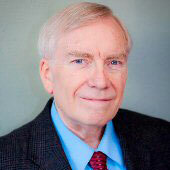 A consultant and item writer for the Wechsler Intelligence Scale for Children (WISC-3), he is listed in WHO’S WHO IN THE WEST, WHO’S WHO AMONG HUMAN SERVICE PROFESSIONALS and THE INTERNATIONAL WHO’S WHO OF PROFESSIONALS.